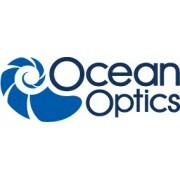 Ocean Optics is the world leader in solutions for optical sensing. We enable diverse applications in medical and biological research, environmental monitoring, life science, science education and entertainment lighting and display. Our extensive line of complementary technologies includes spectrometers, chemical sensors, metrology instrumentation, optical fibers and thin films and optics. Recognized as the inventor of miniature fiber optic spectroscopy, we’ve sold over 175,000 spectrometers worldwide since 1992.